As children, we've been building sandcastles on the beach for centuries. 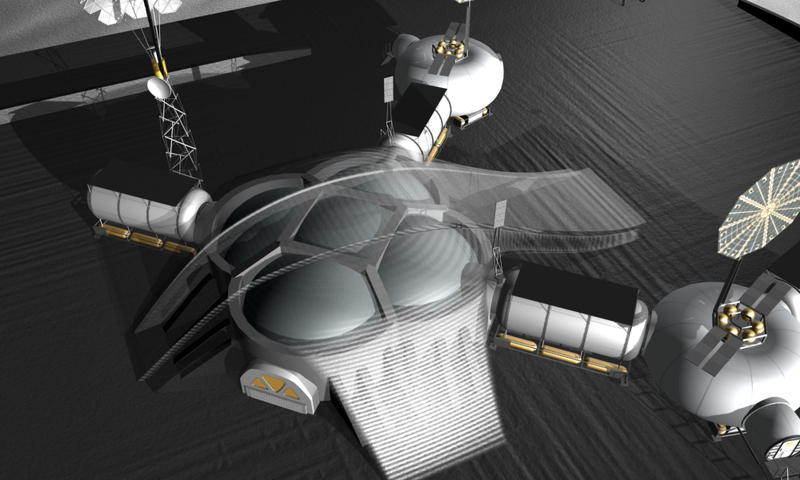 But what if something as simple as this could be the future of extra terrestrial architecture? Some leading scientists certainly believe so. Scientists deem a technique called solar sintering could be the future of creating colonies on Mars. The 3D printing process enables building houses layer by layer, using local materials like lunar dust or sand on Mars. Solar sintering is a method where a 3D printing robot uses a solar furnace to concentrate the sun's rays, melting the lunar sand into a structure to create sandcastle-like homes. Dr Barbara Imhof, principal managing director and design architect at LIQUIFER Systems Group, and Tomas Rousek, chief design officer at ESTEE and founder of London-based design company XTEND, are two of these scientists. Using a solar furnace and 3D printing techniques, robots will harness the sun's rays and use mirrors to concentrate the energy into a laser-like beam. Combining silica-based material with Martian soil, the result would be a firm, long-lasting dome shape. 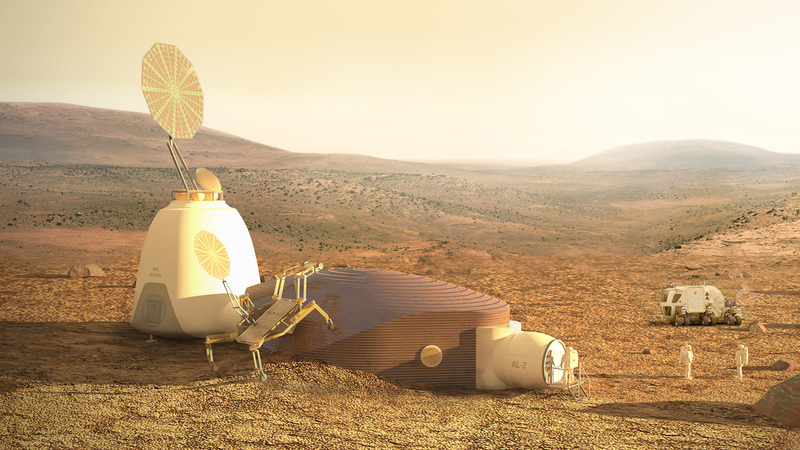 Upon completion, robots can also pile Martian sand over the dome house to build up the structure. Thick walls then provide efficient shielding against radiation and micrometeorites. This process also works on the moon, only there is no atmosphere there, meaning the solar energy is much more powerful and wouldn't need to be concentrated at the same level as on Mars, which is further away. The advantage of using sintering is that you wouldn't have to take many materials with you. There is no weather on the moon so sintered habitats have the capacity to last forever and on Mars they could simply receive a build up of sand over time. There are current studies about the complexity that these structures can take and according to Dr Imhof it, 'depends on the size of the printer nozzle and the material viscosity... In principle one can imagine every detail, structural support through ribs or ornamental additions on the exterior and interior [can be created]'. Scientists have already started practicing this process in the Sahara desert and key figures in NASA and the European Space Agency (ESA) are currently driving 3D printing and solar sintering forward. The aim is to make funds available to practise these concepts using extreme conditions such as vacuum or using lunar/Martian soil simulants. 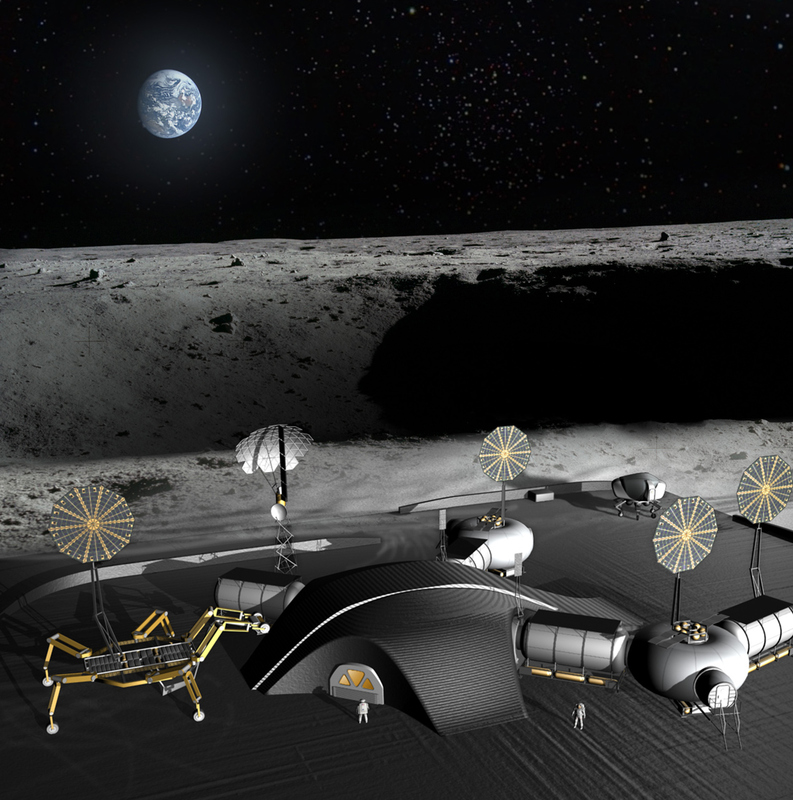 NASA is undergoing a 3D printed habitat challenge running from May through September 2015. Rousek believes that in the future, more sophisticated methods of extraction of material will allow 3D printing from local metals and utilization of biotechnologies, and self-reproducing space robots will be able to print their own parts. Space architects Donald Barker, Tomas Rousek, Sandra Haeuplik-Meusburger, Michael Fox, Abhishek Jain, So Young Hyun, Kursad Ozdemir.